Make this easy black onyx necklace project in a afternoon. 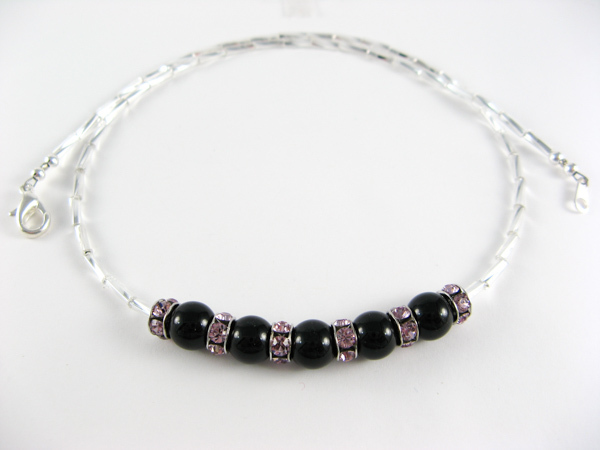 Black onyx beads and lavender rondelles with silver bugle beads create a stunning look. I made this necklace for my Mom for Mothers Day. It's the perfect Mothers Day gift. Step 1: This necklace will be 18 inches long. 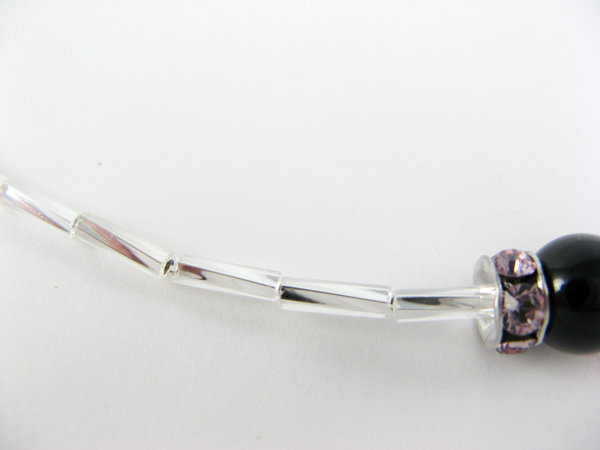 Center your black onyx beads and lavender rondelles on the wire as shown. Step 2: String 25 bugle beads on each side. 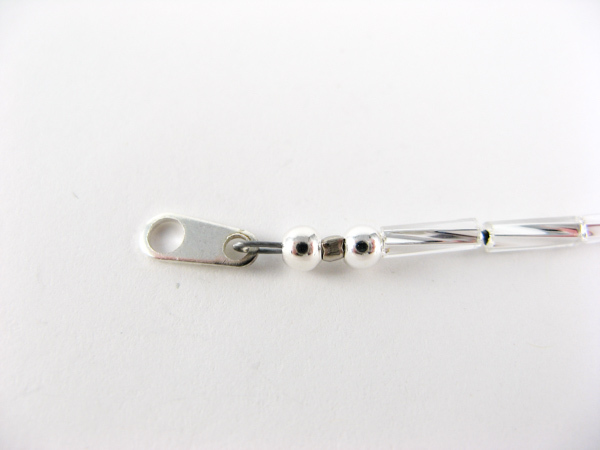 Step 3: String a round bead, a crimp bead, another round bead, and the lobster clasp. Loop back through these beads. Tighten by gently pulling on the wire. When you crimp the crimp bead make sure you move the round beads away from your crimping pliers so they don't get squished. 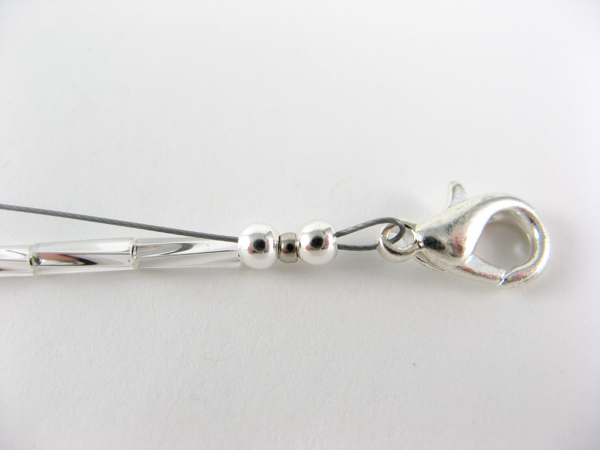 Trim the wire and tuck the tail into the last twisted bugle bead. Step 4: Repeat step 3 with the other half of the clasp.